Caste as a factor has been part of books and academic work in the US. Did the need for a new study come from personal or shared experiences? The report came from both personal and shared experiences. In our personal lives we have fielded caste discrimination in the US. But what really was the straw that broke the camel’s back was that during the California textbook battles where Dalits and other caste-oppressed migrants were fighting to keep the teaching of Dalit, caste, and a proper history of Islam in the textbooks, dominant caste Hindu fundamentalist families testified that caste did not exist in the US and was minimal in India. The Hindu American Foundation even attempted to erase the word Dalit. As long as there has been caste apartheid there has been Bahujan assertion to fight it. From Ambedkar, Sri Guru Ravidass, Savitribai Phule, Phoolan Devi, to Rohith Vemula we will keep on fighting for freedom from caste violence. We knew that was patently false. We saw then that we had to have data to back up our lived experiences or dominant caste Hindus would continue to build networks of impunity in the US. We then launched this study to create a platform for evidence based data that could prove quantitatively and qualitatively that caste existed. What were the main takeaways from the study? The most significant takeaway is that structural caste discrimination exists in the US and it affects all diasporic institutions that South Asians are part of. Data points are quite striking: three out of four Dalits experienced workplace discrimination on the basis of caste, one in four faced verbal or physical assault, and one experienced discrimination. These are serious findings that call for self-reflection and change. Your study finds that even children are not spared. 40% of Dalit students report facing discrimination in educational institutions in the diaspora. One of the criticisms of the study has been the representativeness of the sample. Does it adequately represent South Asian diaspora in the US? These critics are not familiar with the standard of sample sizes for statistical study. For the US it is common for a sample size of 1,000 to 1,500 respondents for surveys for the entire country. There are over 3.4 million South Asians in the US and our sample size is more than sufficient. Can you elaborate on some of the experiences shared by the respondents on being discriminated against? Many of our respondents complained that when they work in fields where there are a lot of South Asians present, then there will be discrimination in the workplace by dominant caste Hindus. This can include being passed over for promotions, exclusion from social networks, and even caste slurs. Dalits and other caste-oppressed migrants are at a loss in how to deal with this because many HR departments are not aware of caste. The study puts into question the narrative of the US as the land of opportunity. Do you feel that caste discrimination is not discussed enough even by the Dalit community? We have to reframe this question. Caste is not just a Dalit problem, it is everyone’s problem. We must not only document the consequences of caste but also interrogate the networks of privilege that silence the discourse around it. So we have to go beyond thinking of America as a meritocracy and speak to it as it is. Indian Americans are settler colonialists whose caste privileges allow them to migrate. 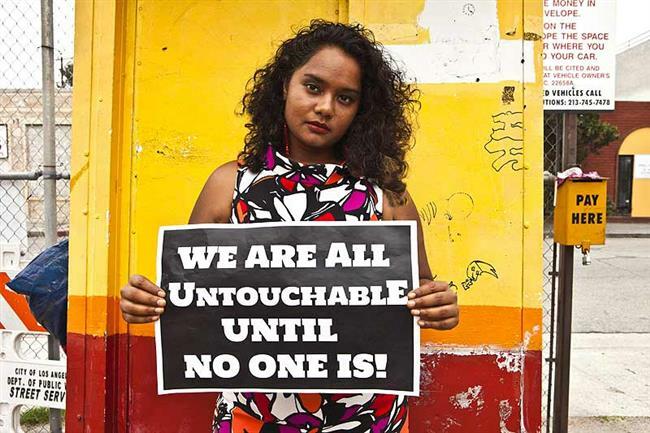 Many then begin to define their identity as the good immigrant in opposition to other black and brown immigrant communities, as the casteist mindset fits nicely into a racist mindset. Caste is all around us and we have a moral imperative to address it head on so that it ends in our lifetime. In the current context, there have been a spate of incidents of Dalit assertion in India. What is your view?